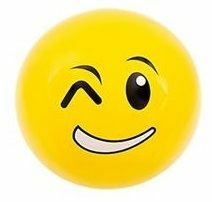 Another cheeky emoji beach ball from our massive range of emoji toys and novelties. 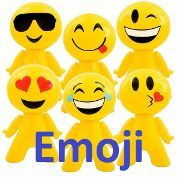 This bright yellow emoticon themed inflatable depicts the smirking with a wink emoji and measures 9 inches, is easy to inflate, and is made of strong durable PVC. A unique novelty toy that makes a funny low cost gift for children of all ages, and is perfect for outdoor fun in the garden, pool, or at the beach. Emoji inflatables are also great for crowds at music events, night clubs, and festivals.